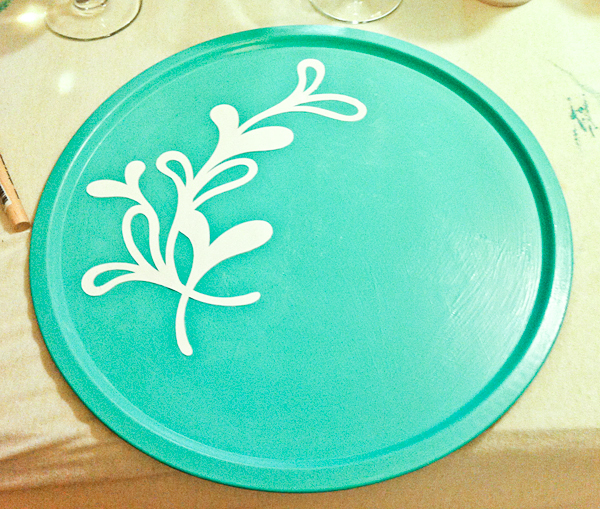 Just 1 Step: Girls' Craft Night! 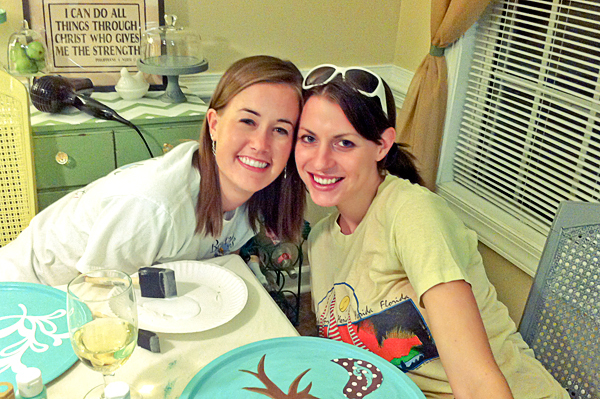 My friend Erin invited me to a girls' craft night last night at her friend Katie's house. Complete with craft supplies, pizza, wine, and cookies. It was very nice to get out sans child for a while. I love spending time with Krew dearly, but sometimes I forget what it's like to just be me instead of me with a child. My finished product. I think I'll hang it on the wall. It's going to be a fun day today, with lunch with Ann and then Marbles Museum with Casey (and maybe Erin). 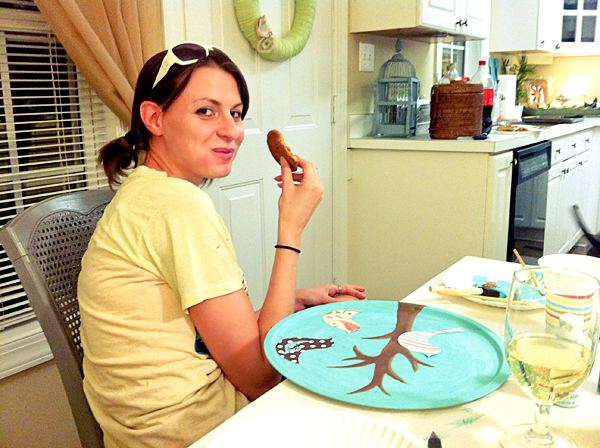 The hubs has got lots of frisbee practices this weekend so more friend time may be in store. Or I may just stay home and get stuff done. But boy is that hard with a toddler!